The Maiquel Falcao vs Tom Lawlor bout is currently in the works for the UFC Rio fight card. Who among the two will continue his winning ways this August? 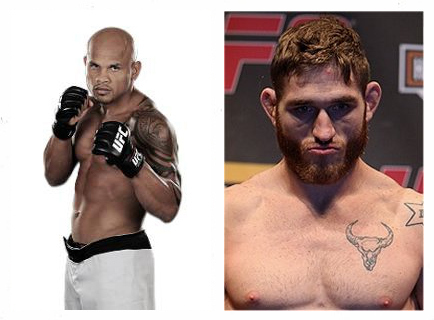 A UFC Rio match pitting Maiquel Falcao against Tom Lawlor is in the works for the Rio de Janeiro card. Maiquel Falcao made his UFC debut last November 2010 at UFC 123: Rampage vs Machida, where he defeated Gerald Harris via unanimous decision. The always entertaining Tom Lawler, on the other hand, was last seen at UFC 121: Lesnar vs Velasquez, giving Patrick Cote his walking papers. The UFC Rio will take place on August 27 at the HSBC Arena in Rio de Janeiro, Brazil.